Heavy genre smashing music from France. This is the kind of thing speaks to the enduring power of the music we all live and love. There are some delicious grooves here and top notch ideas that will ring in your head for days. 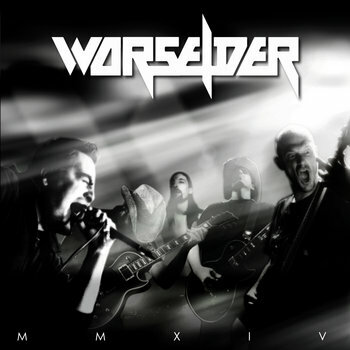 Worselder have a very distinct sound that uses clear rhythms and atypical melodic lines to get at something that enlightens and engages the listener. These guys are doing something very different and I think that this is going to allow them success in the long run. Though they only have a couple of songs out right now the basic formula they have going is very strong and suggests that the band is going to be able to rise up and hold mighty sway over the French scene. With entrancing melodies and a vocalist who mixes a variety of styles, this is a band who never fail to give you something to ponder. Few bands are as unafraid to do new and exciting stuff as Worselder. So let these infectious grooves consume you and fall into the eternal void to which we are all bound.